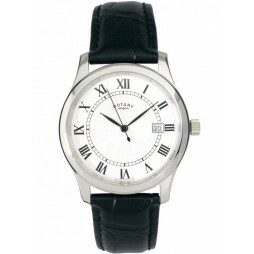 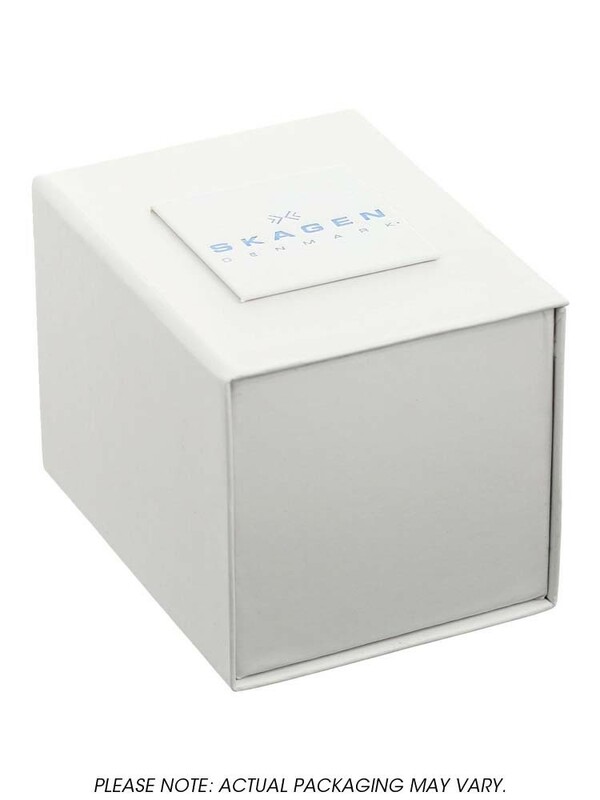 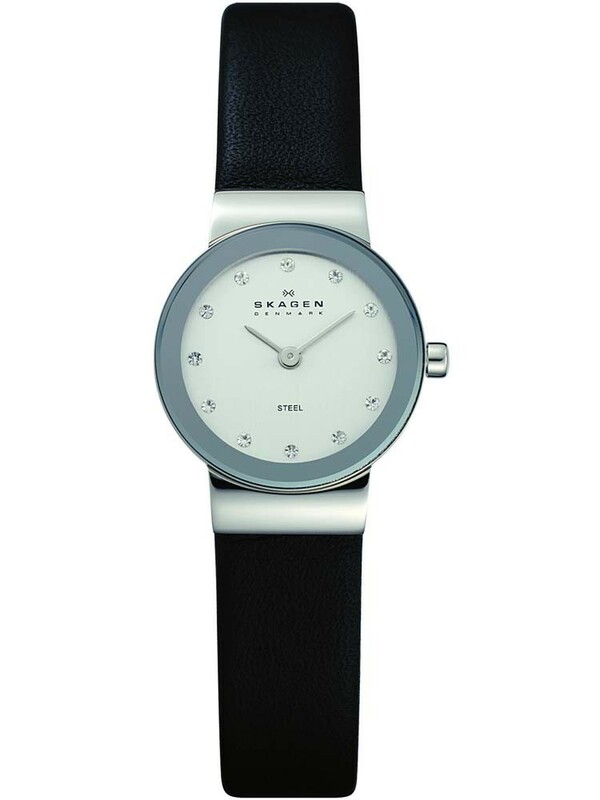 This sleek and stylish design comes from Skagen. 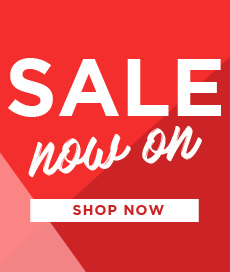 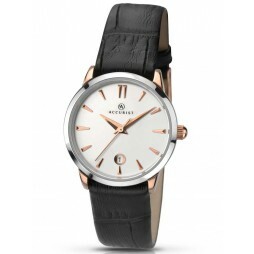 The strap has been crafted from black leather and is teamed up with a stainless steel case. 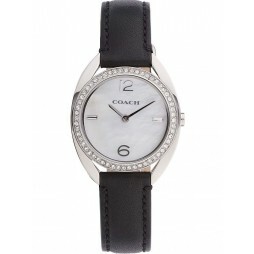 The minimalist white dial uses sparkling stones to mark each hour. 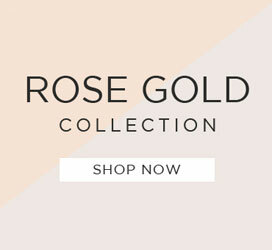 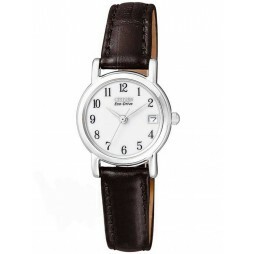 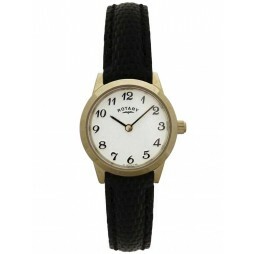 This stunning watch is sure to make the perfect elegant addition to any outfit.